The system features the PDI's robust and easy-to-use Surfometer Series-800 system and a sophisticated custom fixture to enable accurate and efficient measurement of surface finish on both front and rear transmission cases at multiple locations. 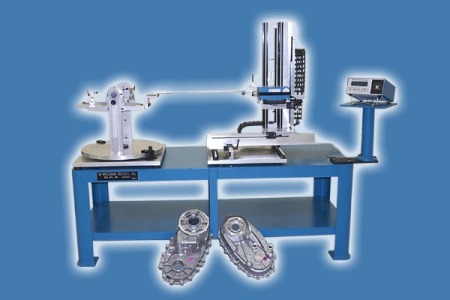 The pilotor (or traverse unit) is mounted on X,Y,Z linear slides, and the cases are mounted on a rotary table with two rotational degrees of freedom. The slides precisely locate the pilotor relative to the cases. The rotary table will accept and position either the front or rear transmission cases. Locking mechanisms are provided to ensure safe and accurate measurement at each measurment location. 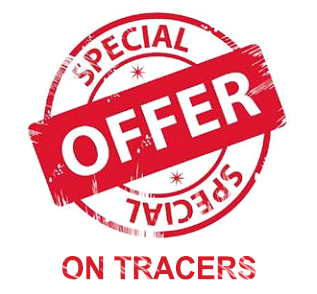 A total of five degrees of freedom allows the relative positioning of the part and tracer such that 11 locations in different planes where surface finish is specified can be conveniently checked between the both cases. A booklet chart with coded check locations match codes on the adjustment mechanisms on the translation slides and rotary table making the system easy to position for accurate measurements. Corresponding surface finish specifications are called out in the booklet.